The idea of building my own home (well, hiring someone to build it) is wild to me. That's some phenomenal cosmic power. You can include all your favorite things and leave out the details you hate. The only thing that would make building a new home even cooler? If you were putting in a pool with it. Talk about living the dream. So if you're building a new house, when should the pool be installed? The answer is... "It depends." (I know, I wish it were simpler too.) The ideal time: after power, before asphalt and landscaping. Of course, things aren't always so simple. "Gelcoat" is a funky word to describe the surface of a fiberglass pool. Personally, it makes me think of the expensive nail polish option in a salon. Plus, "gel" sounds like it'll be soft and squishy—not the ideal texture for a pool. So what gives? What is a gelcoat, really? Here at River Pools, we specialize in fiberglass pools. Between manufacturing and installing them, we know them inside and out (literally). We want to share our knowledge so that you can be fully informed when you make that big pool decision for you and your family. Let's start at the beginning: the gelcoat surface. You know something I think is cute about humans in general? Our love for small things. Think about it! Even if we like the thing itself, we love the tiny version. A pig? Kinda gross. A tiny pig? Awww! A teacup? Classy. A tiny teacup? I need it right now! A house? Fine. A tiny house? Perfect! A cat or dog? Beautiful. A kitten or puppy? I want to die of happiness! What is a Fiberglass Pool Mold? A lot goes into the manufacturing and installation process for a fiberglass pool. It’s especially hard to make sense of all those steps when the explanation includes a lot of pool and science jargon, regardless of whether you’d like a refresher on the basics of a fiberglass pool or already know the components. A pool is a pool is a pool, right? Actually, not so much. 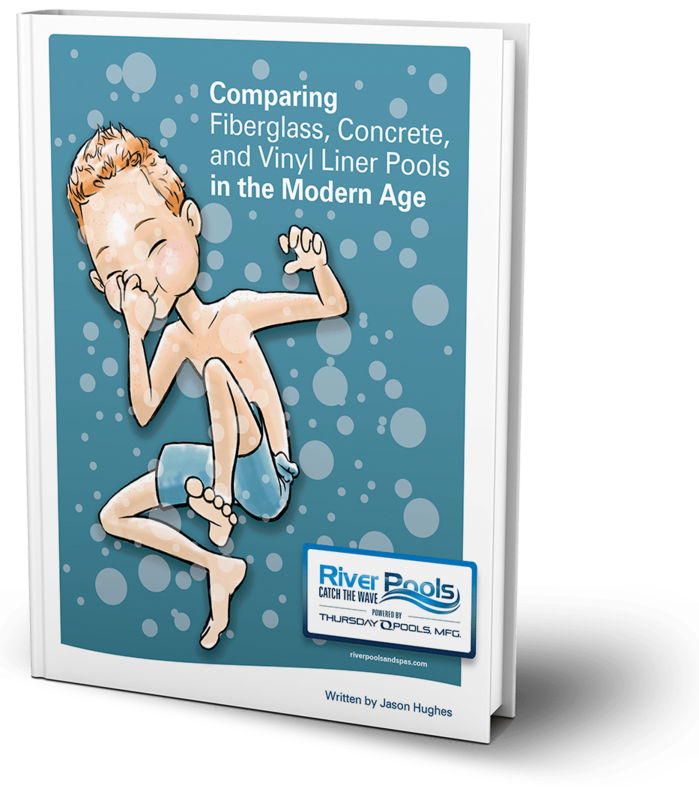 When you’re planning such a big investment, you need to look into the three primary pool types—concrete, vinyl liner, and fiberglass—to understand the differences. River Pools manufactures and sells only fiberglass pools, but we know you need all the information on all the pool types in order to make an educated decision on what’s best for your needs. For some people, concrete is the way to go. Are you shopping for liners for your vinyl liner pool and uncertain what thickness is best? Want to verify in layman’s terms what your pool builder has offered? Unsure what a “mil” measurement even means?